Bake up a loaf of this tender and sweet Lemon Poppy Seed Bread for a delicious breakfast or snack! It pairs perfectly with a cup of hot tea or coffee. Even though we had snow showers this past weekend, I know Spring is coming! In fact, every day this week the forecast shows lots of sunshine and increasing temperatures, so to say I'm excited is an understatement. 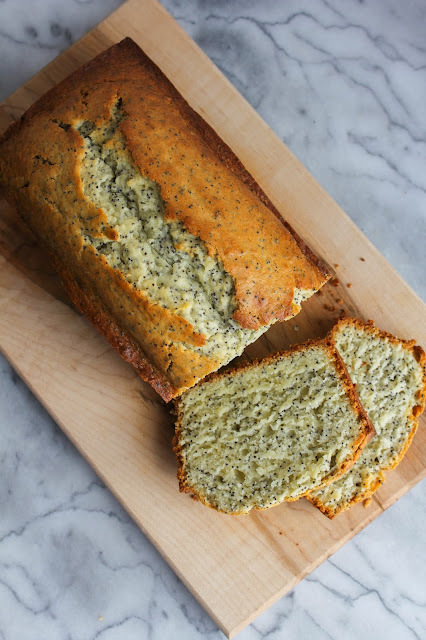 To get me in the Spring spirit while I looked at snow falling outside my windows, I made a loaf of this bright and refreshing Lemon Poppy Seed Bread. Lemons and other citrus fruits just make me happy, you know what I mean? 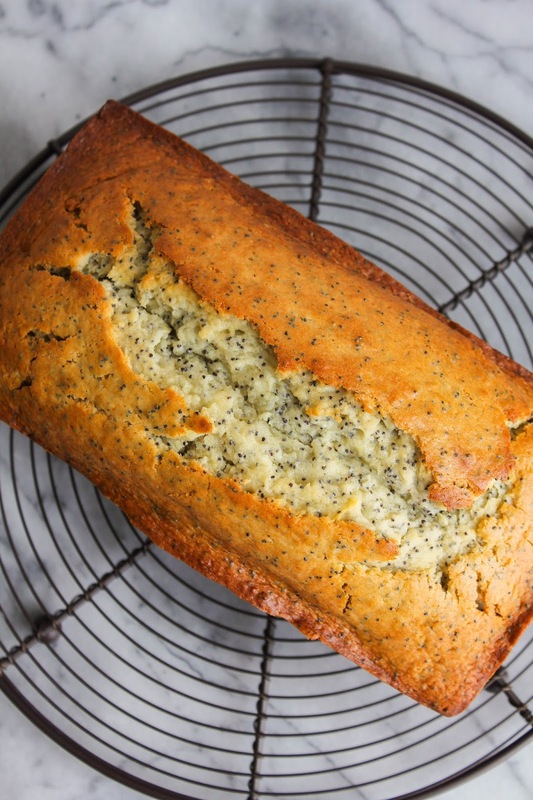 I added both fresh lemon juice and lemon zest to this bread to make the lemony taste shine through. I also added Greek yogurt, which makes the bread nice and tender. Slices of this bread pair perfectly with a hot cup of coffee or tea. I've been enjoying it for breakfast and as a snack. Trust me, it's hard to resist eating multiple slices at one sitting! 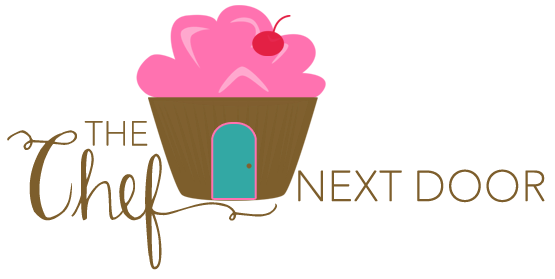 Are you ready to start baking? Preheat the oven to 350 degrees. Spray a loaf pan with baking spray and set aside. In a medium bowl, whisk together the flour, baking powder, baking soda and salt. In a glass measuring cup, whisk together the yogurt, milk, lemon juice and lemon zest. In the bowl of a stand mixer, beat the butter and sugar until light and fluffy, scraping down the sides of the bowl as needed. Add the eggs, one at a time, beating well after each addition. Alternately add the flour mixture and yogurt mixture until it's just incorporated. 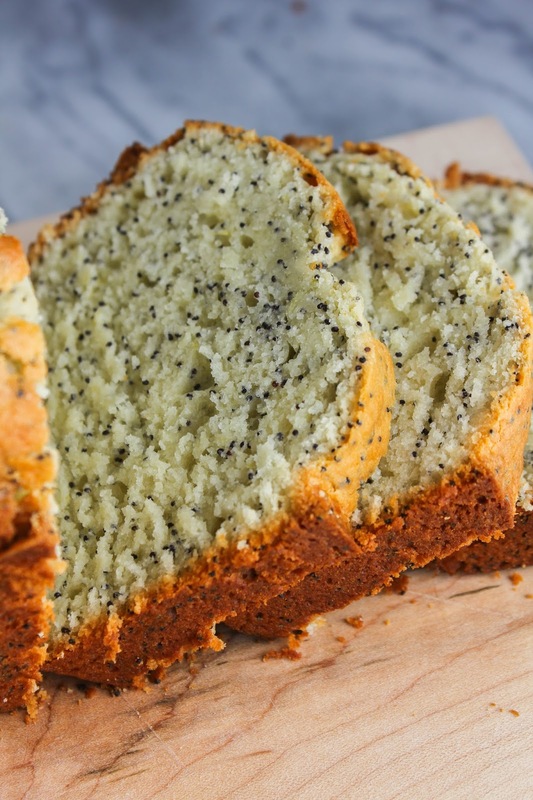 Add the poppy seeds and mix well to combine. 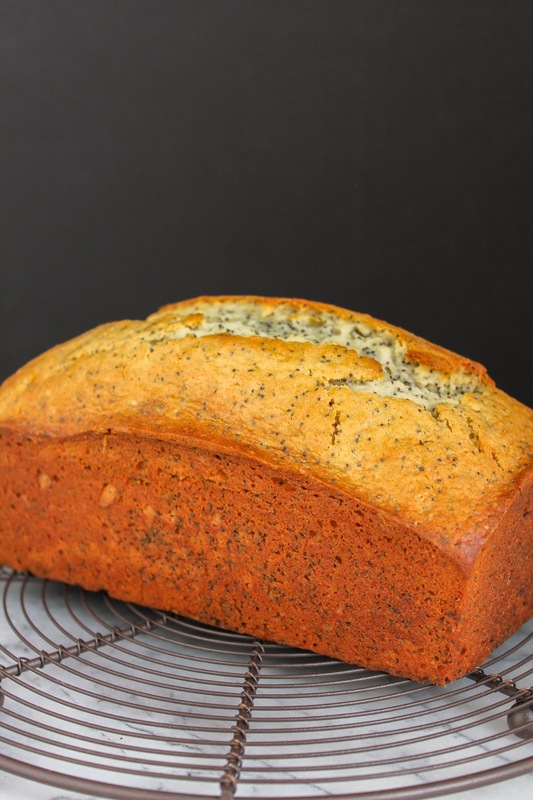 Pour the batter into the prepared pan and bake for 60 minutes, or until a cake tester inserted into the center of the loaf comes out clean. Let rest in the pan for 15 minutes before turning it onto a cooling rack to cool completely. Slice and serve.